The New York Giants have signed free agent offensive guard Zac Kerin. The 26-year old, 6’4”, 305-pound Kerin was originally signed as an undrafted rookie free agent by the Minnesota Vikings after the 2014 NFL Draft. He spent his rookie season on the team’s Practice Squad. 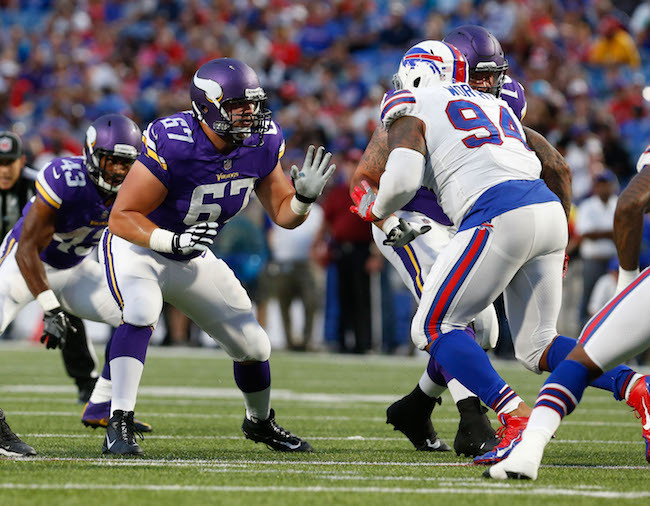 After playing in 13 games with no starts for the Vikings in 2015 and 2016, Minnesota waived Kerin in September 2017. Kerin was claimed off of waivers by the Detroit Lions, started one game, but was then placed on Injured Reserve with a knee injury. 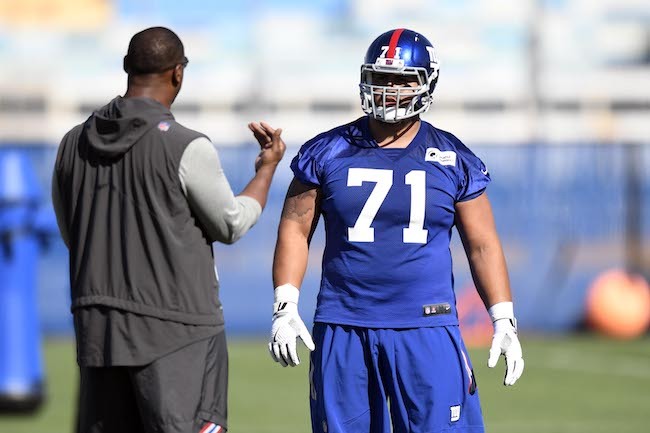 To make room for Kerin, the Giants waived Ethan Cooper, who was signed to the Practice Squad in October 2017. The 6’2, 322-pound Cooper was originally signed by the Pittsburgh Steelers as an undrafted rookie free agent after the 2017 NFL Draft. 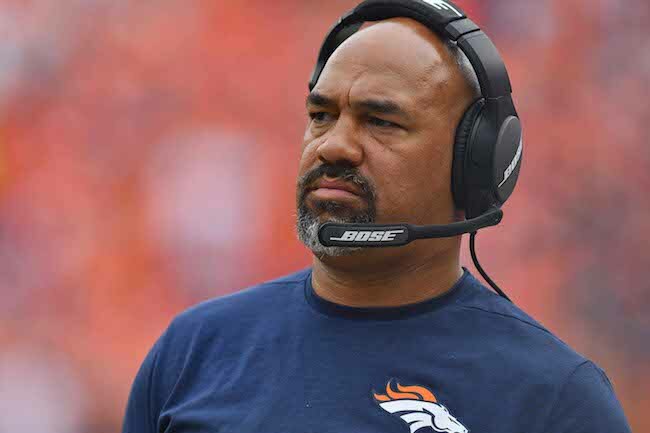 The New York Giants will interview Denver Broncos Assistant Head Coach/Running Backs Coach Eric Studesville for the team’s head coaching vacancy on Friday. Denver fired Studesville on Monday. ESPN is reporting that the Giants have also requested to interview Minnesota Vikings Offensive Coordinator Pat Shurmur for the head coaching vacancy as well. The 50-year old Studesville served as the Giants’ running back coach under Head Coach Jim Fassel (2001-2003) before going on to hold the same position with the Buffalo Bills (2004-2009) and Broncos (2010-2017). Studesville also served as interim head coach of the Broncos for four games in 2010 and became an assistant head coach in 2017. In recent years, the 52-year old Shurmur has served as Philadelphia Eagles quarterback coach (2002-2008), St. Louis Rams offensive coordinator (2009-2010), Cleveland Browns head coach (2011-2012), Philadelphia Eagles offensive coordinator (2013-2015), and Vikings tight ends coach (2016). Shurmur was promoted to Vikings offensive coordinator in 2017. He also served as interim head coach for the Eagles in 2015. All of the players except for the two kickers finished 2017 on the Giants’ Practice Squad. Koehn was originally signed by the Miami Dolphins as an undrafted rookie free agent after the 2016 NFL Draft. He has spent time with the Dolphins (2016), Minnesota Vikings (2017), and Cincinnati Bengals (2017). He’s played in only one regular-season game with no field goal attempts. Rehkow was signed by the Buffalo Bills as an undrafted rookie free agent after the 2017 NFL Draft. The Bills waived him in August. A day after the New York Giants placed wide receivers Odell Beckham, Jr. (fractured ankle) and Dwayne Harris (fractured foot) on Injured Reserve, the team also placed wide receiver Brandon Marshall on IR with an ankle injury. All three were injured during the team’s 27-22 loss to the San Diego Chargers on Sunday and it is anticipated that all three will be out the remainder of the 2017 NFL season. 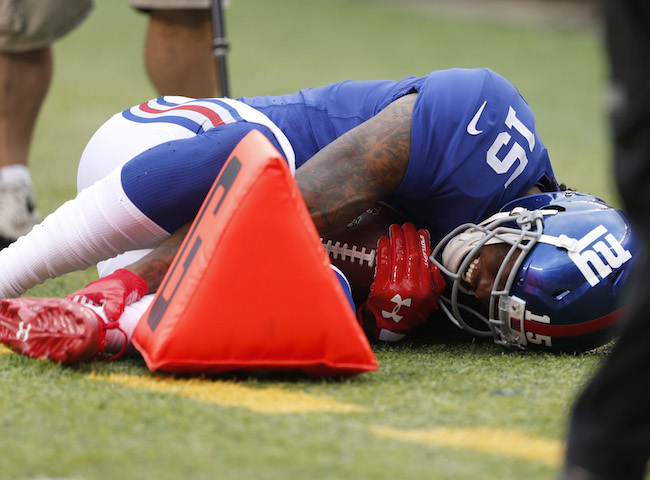 The Giants announced that Beckham had surgery on his left ankle on Monday night. Harris (5th metatarsal) and Marshall (ankle stabilization to repair torn ligaments) had surgeries performed on Wednesday. To fill Marshall’s roster spot, the Giants signed wide receiver Ed Eagan from the team’s Practice Squad. The 5’11’, 183-pound Eagan was originally signed by the Dallas Cowboys as an undrafted rookie free agent after the 2016 NFL Draft. He has spent time with the Cowboys, Cleveland Browns, and Buffalo Bills. The Giants signed Eagan in August 2017. The Giants also signed wide receiver Kalif Raymond and offensive guard Ethan Cooper to the Practice Squad. The Giants terminated the practice squad contract of center Anthony Fabiano, who was signed last week. The 5’9, 160-pound Raymond was originally signed by the Denver Broncos after the 2016 NFL Draft. He has spent time with both the Broncos (2016) and New York Jets (2017). Raymond has played in six NFL games. The diminutive Raymond has not caught a pass, but he has returned nine kickoffs (24.7 yards per return) and 16 punts (9.3 yards per return). The 6’2, 322-pound Cooper was originally signed by the Pittsburgh Steelers as an undrafted rookie free agent after the 2017 NFL Draft. The Steelers waived Cooper in early September. Cooper played at a lower level of competition in college but he has good size and is a decent athlete. NFL.com is reporting that left tackle Branden Albert will visit the New York Giants this week after meeting with the Seattle Seahawks and leaving without a deal. The 32-year old Albert was originally drafted by the Kansas City Chiefs in the 1st round of the 2008 NFL Draft. He has played with the Chiefs (2008-2013) and Miami Dolphins (2014-2016). In March 2017, Albert was traded to the Jacksonville Jaguars. He announced his retirement in July, returned to the team, and was then cut in August. The 6’5, 315-pound Albert is a two-time Pro Bowler (2013 and 2015). However, Albert is clearly in the twilight of his career and has not played a full regular-season schedule since 2011. The 0-5 Giants have trailed at halftime in each of their five games this season. This season, the Giants and their opponents have each scored 56 second-half points. But the Giants have been outscored in the first half, 66-26. The Giants have led in the fourth quarter in each of their last three games. The Giants return to practice on Wednesday at 11:40AM.